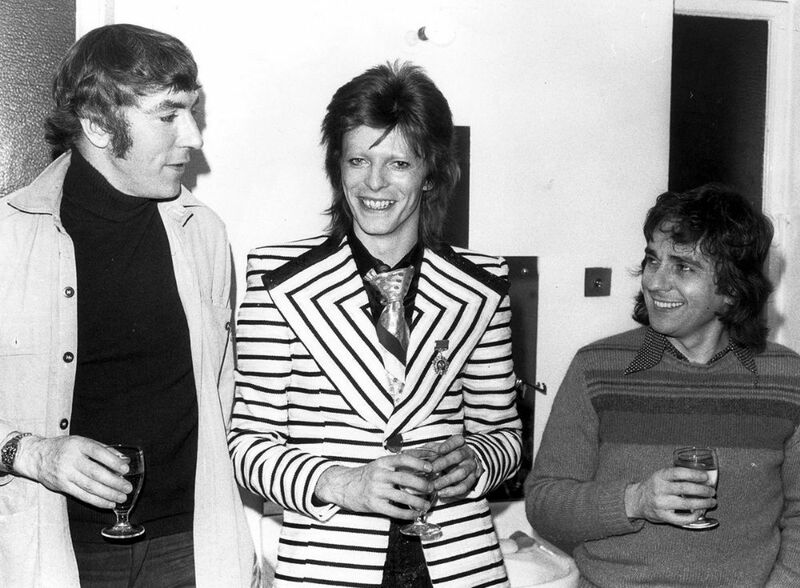 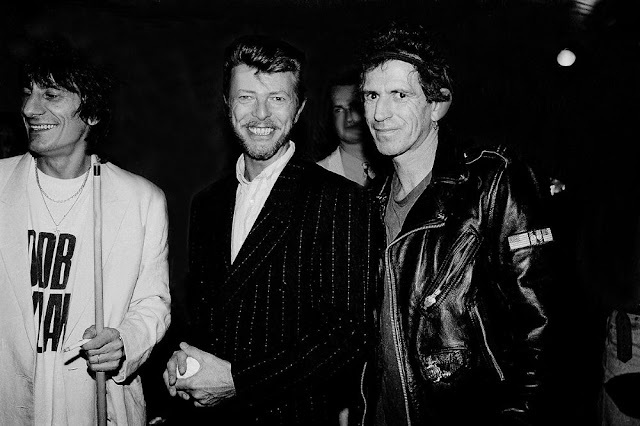 David Bowie may have a song called Looking for a Friend, but the late musician was certainly not short on pals. From joking around with Paul McCartney at award shows to performing with Mick Jagger on stage to marrying supermodel Iman, Bowie surrounded himself with people to know. 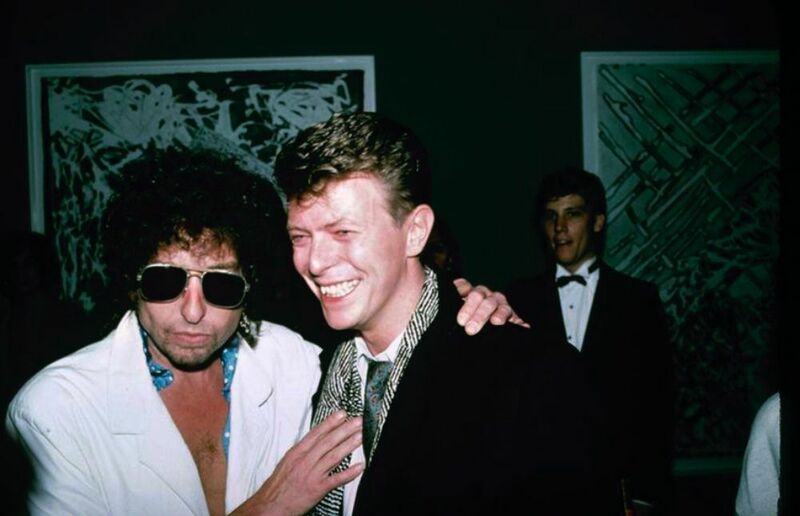 David Bowie with Bob Dylan in 1985. 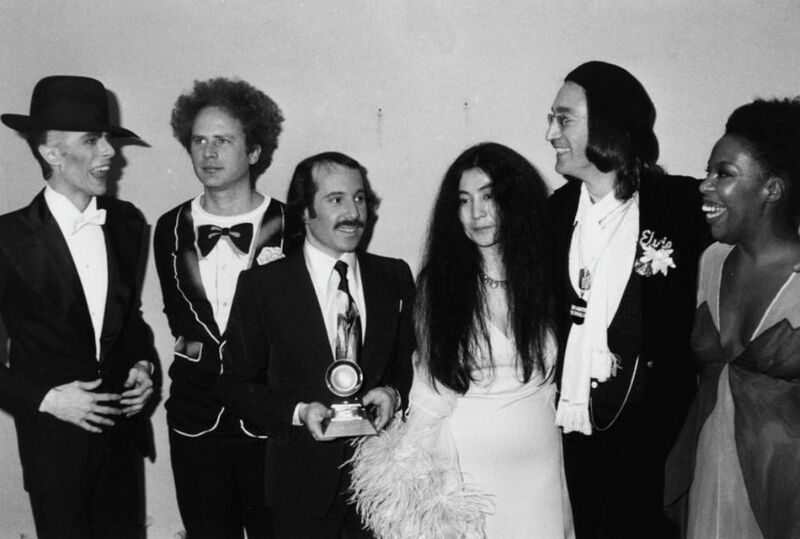 L to R: David Bowie, Art Garfunkel, Paul Simon, Yoko Ono, John Lennon and Roberta Flack, attending the Grammy Awards at the Uris Theater, New York, March 1st 1975. 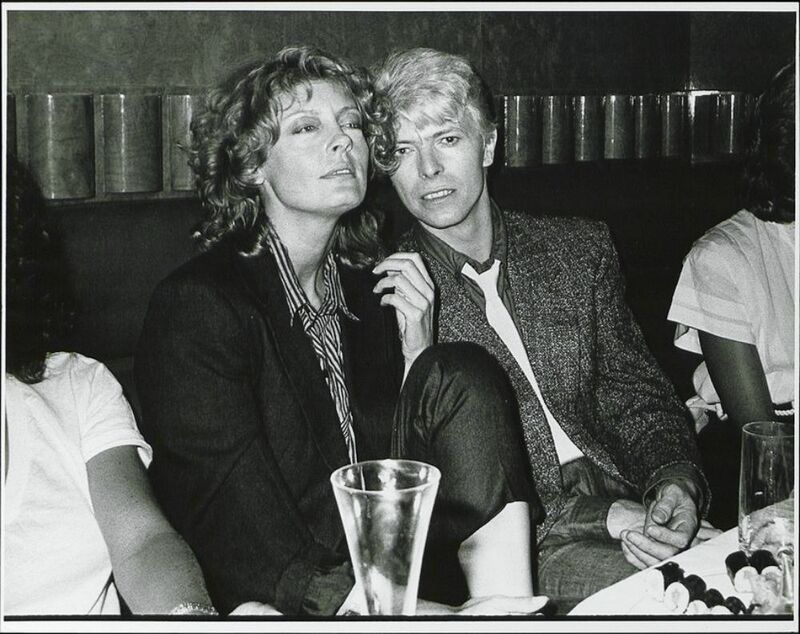 David Bowie with Susan Sarandon in 1983. 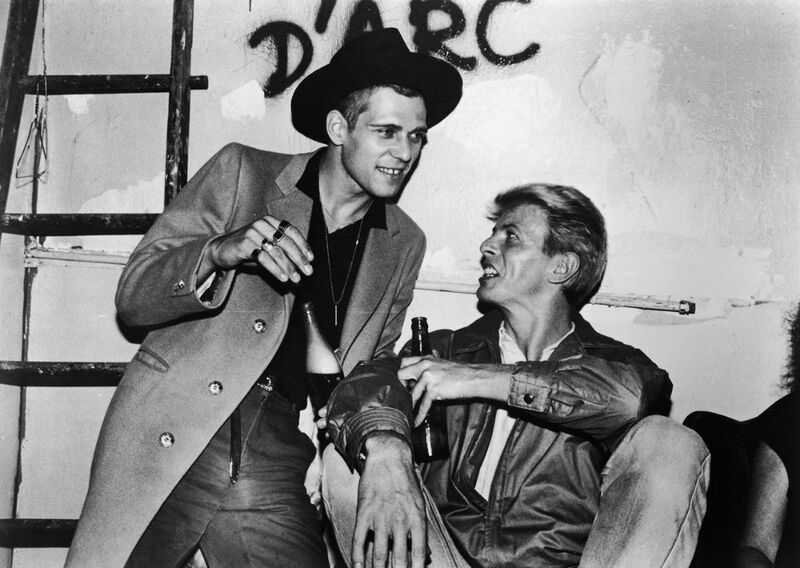 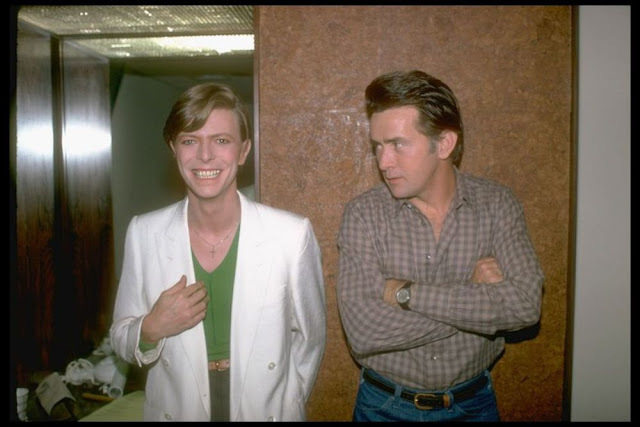 David Bowie with Martin Sheen. 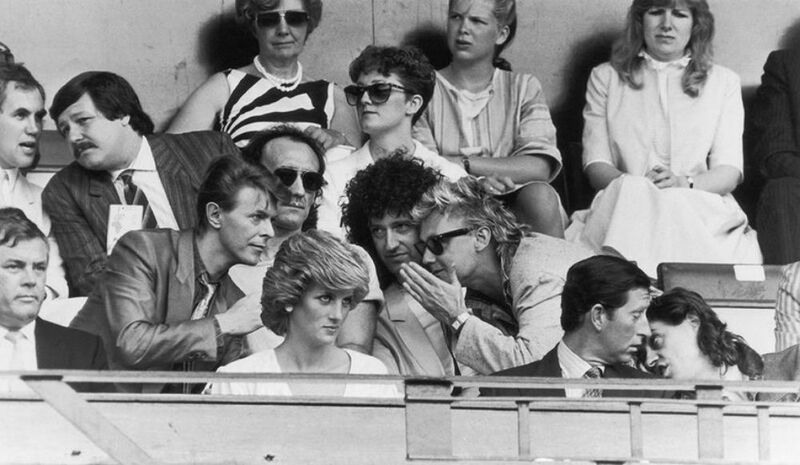 Bob Geldof has a word with Prince Charles, while David Bowie chats with Roger Taylor and Brian May of Queen, during the Live Aid Concert at Wembley Stadium in July 1985. 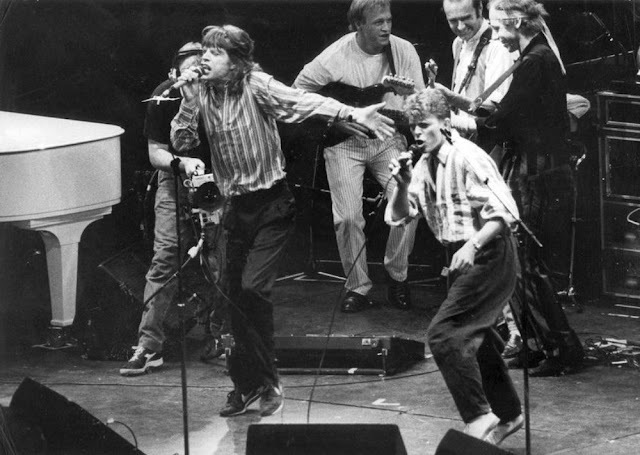 Mick Jagger and David Bowie sing with Dire Straits at Princes Trust concert in June 1986. 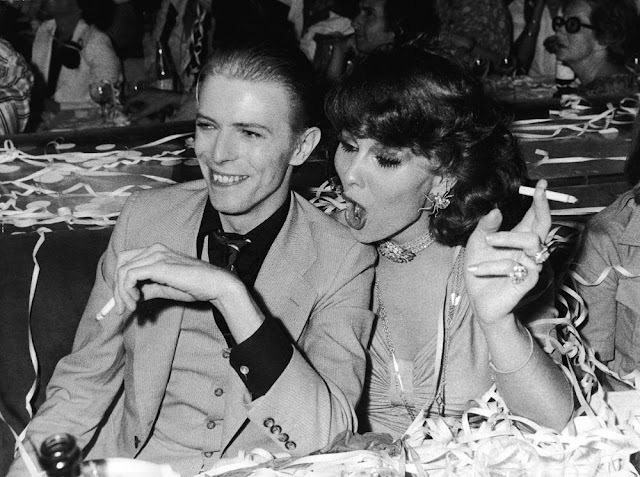 David Bowie sharing a cigarette with Elizabeth Taylor in Beverly Hills, 1975. 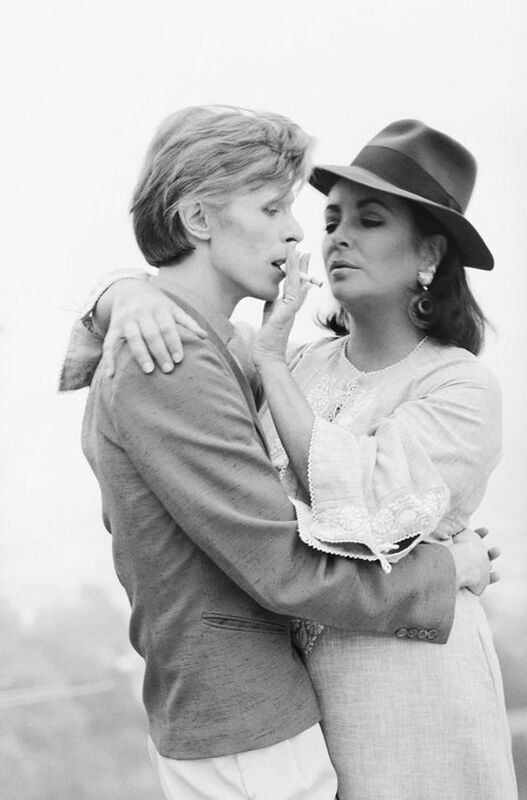 It was the first occasion that the pair had met. 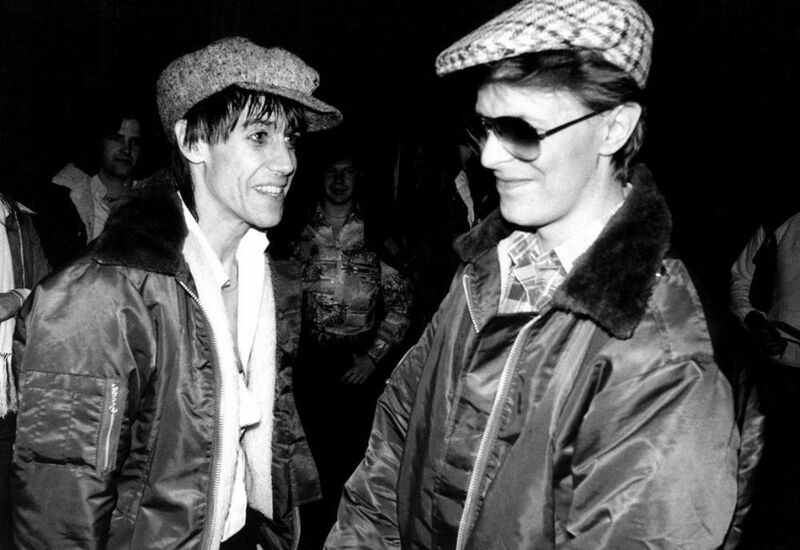 Iggy Pop and David Bowie on tour for "The Idiot," 1977. 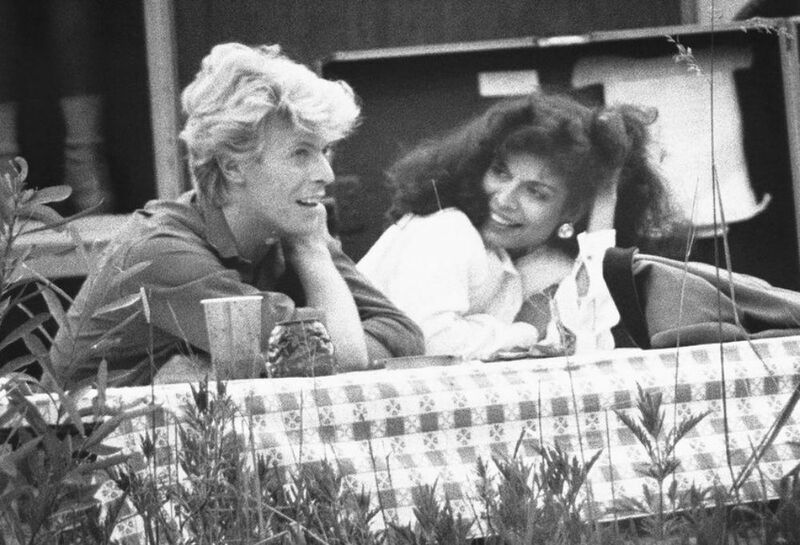 David Bowie and Bianca Jagger hang out backstage at the 1983 US Festival on May 30 in Devore, California. 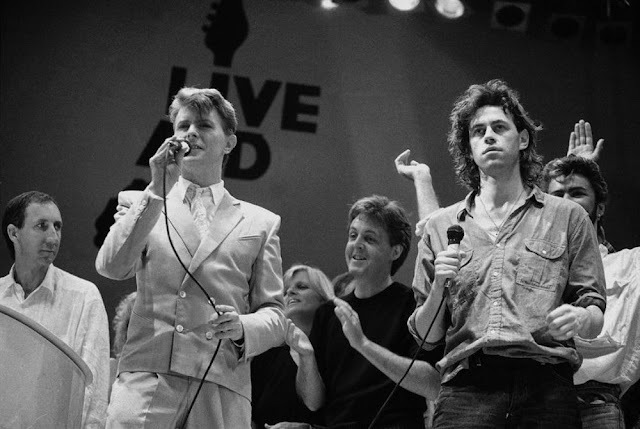 Paul McCartney, center, and his wife Linda McCartney, applaud David Bowie and Bob Geldof at the end of the London part of the Live Aid famine relief concert at Wembley Stadium on July 13, 1985. 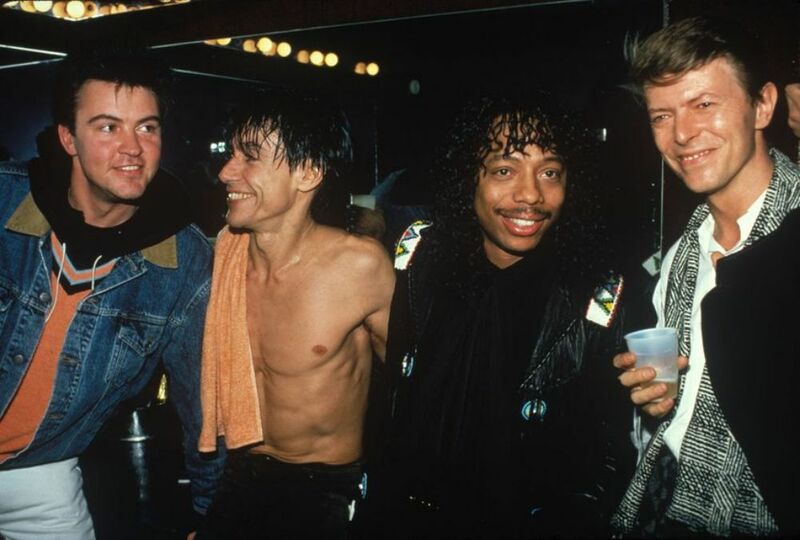 Paul Young, Iggy Pop, Rick James and David Bowie pose backstage after an 1986 Iggy Pop concert at The Ritz in New York City. 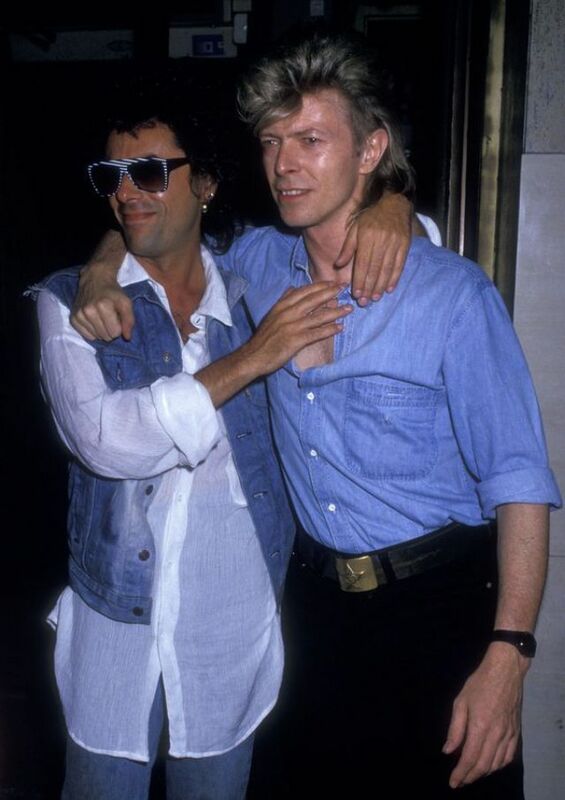 Musicians Earl Slick and David Bowie sighted on August 4, 1987 at The China Club in New York City. 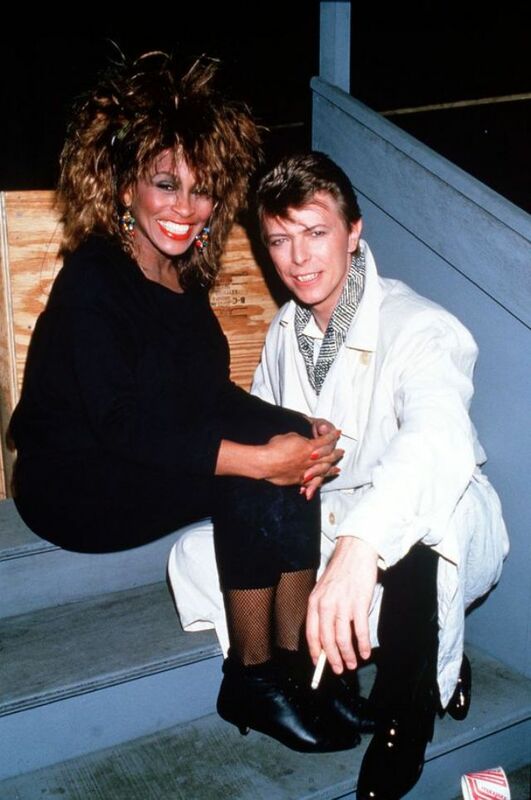 Singers Tina Turner and David Bowie backstage at the Birmingham National Exhibition center in England in 1989. 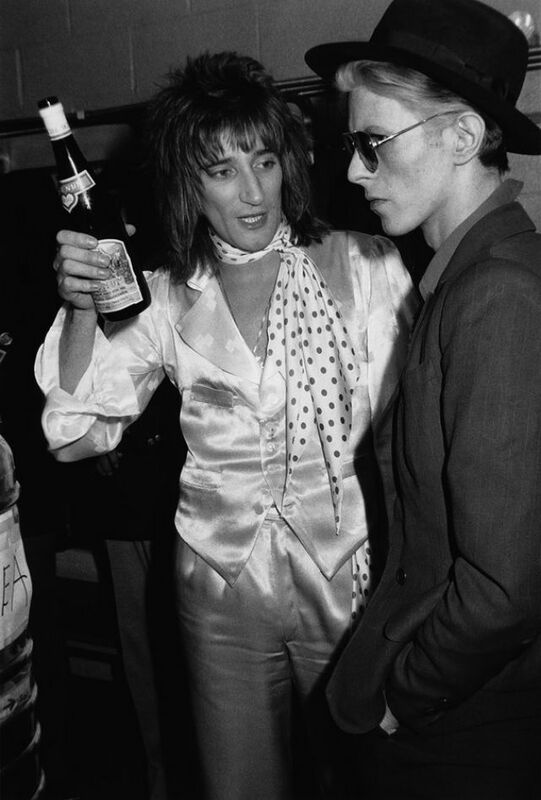 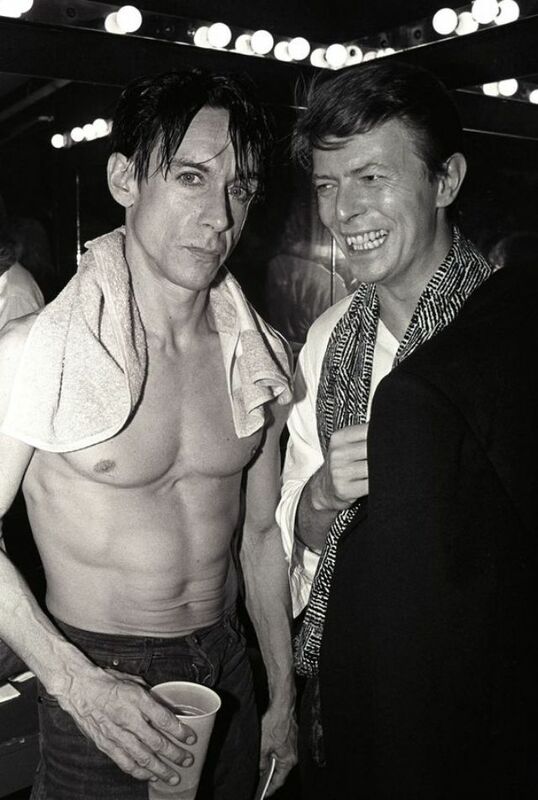 Iggy Pop and David Bowie pose backstage after an 1986 Iggy Pop concert at The Ritz in New York City. 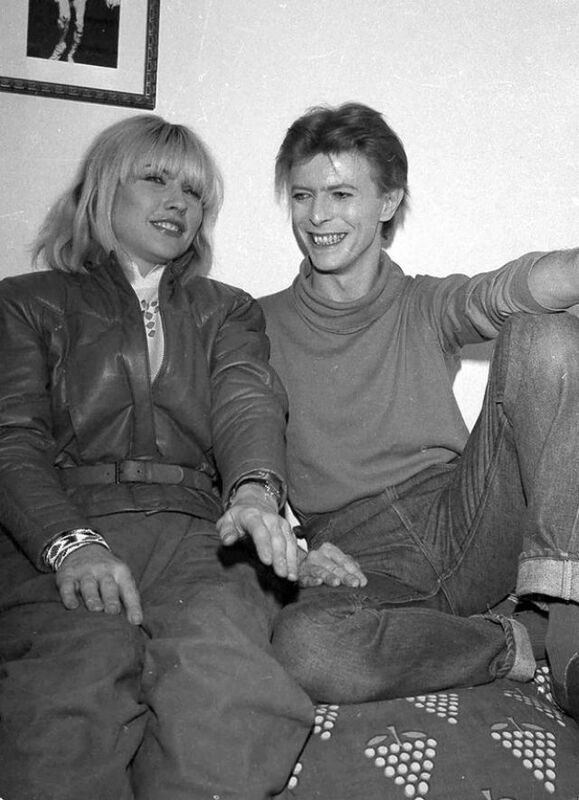 Deborah Harry of the rock band Blondie visits David Bowie backstage at the Booth Theater where he is starring in "The Elephant Man," Nov. 1980. 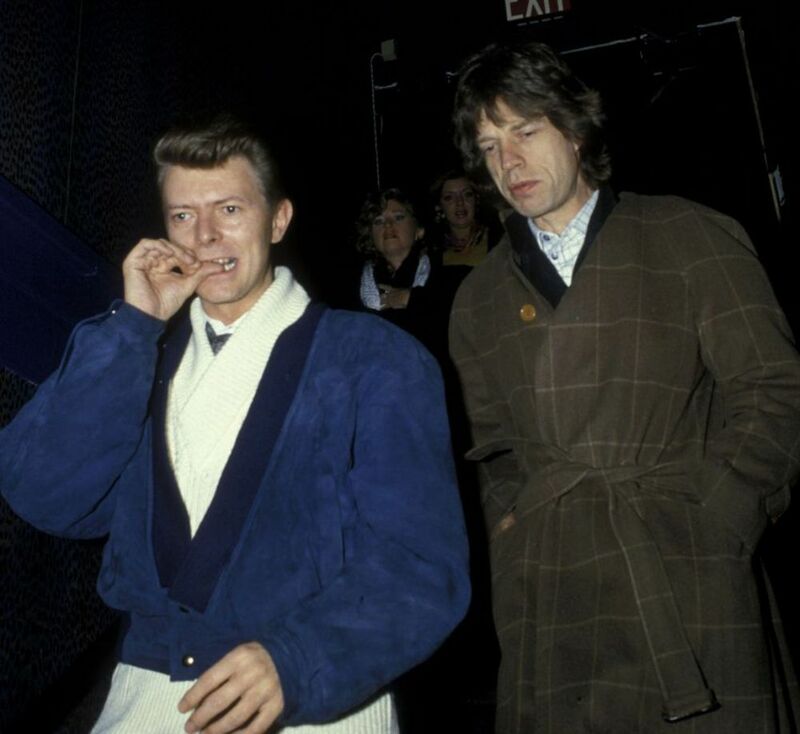 Musicians David Bowie and Mick Jagger sighted on November 28, 1985 at the Carlyle Hotel in New York City. 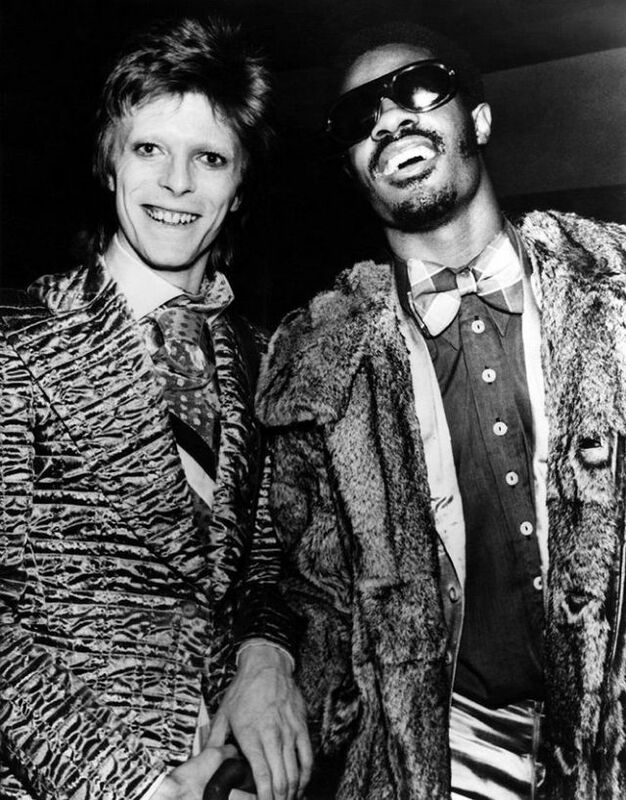 David Bowie with Stevie Wonder in 1973. 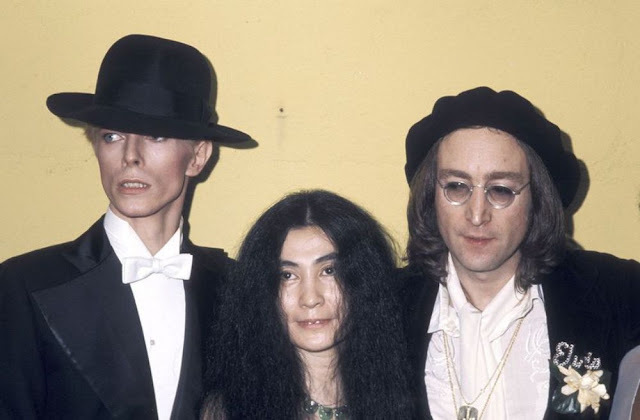 David Bowie, Yoko Ono and John Lennon.